Rough chop the red onion in 1 inch squares. In a small pan, toss the chopped onion and garlic cloves in a tablespoon of olive oil. Place the pan in an oven, preheated at 425 degrees. Let it roast for 35 minutes. Remove from the oven and allow to cool for 10 minutes. With a large knife and bowl, shave the corn off the ears. Place the corn in a single layer on a pan. Set the oven to broil and place the corn inside. Remove when corn reaches desired char. Rough chop leftover chicken and microwave (or pan-sear). Rough chop the zucchini squash in 1 inch cubes. Place the chopped zucchini and roasted onion and garlic in a blender (I used a NutriBullet). Pour in 1 cup of the stock in. Blend until perfectly pureed. Add more stock if needed for desired consistency. Pour the blended mixture in a large sauce pan on medium heat. Once the soup starts to simmer, add 3 tablespoons of sour cream, salt and pepper to taste. Stir constantly for 7 minutes. 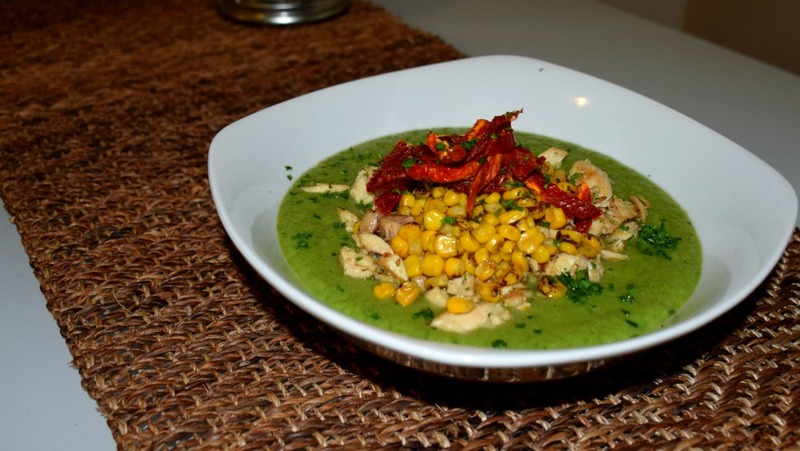 Pour soup in a bowl, top with with chicken, roasted corn and sun-dried tomatoes. 1. Cook the Grits to according to the package instructions. Season to taste and stir in the sharp white cheddar and butter when it’s done. 1. Season the shrimp with the Creole seasoning and black pepper, rubbing the spice mixture into the Shrimp. 2. Heat a tablespoon of butter in a large sauté pan over medium-high heat. Add the shrimp and sauté, stirring as they cook, for 1-2 minutes, or until just opaque, and then remove from pan and set it off to the side. 1. Add a tablespoon of olive oil. 2. Add the dices Andouille sausage and sauté until they crisp and caramelize. 3. Then add the onions, bell peppers, celery and garlic, cooking until they soften. Add the Worcestershire and Cream of Mushroom. Stir well to combine and bring to a boil. Allow the sauce to simmer for 10-15 minutes and darken a bit. 1. 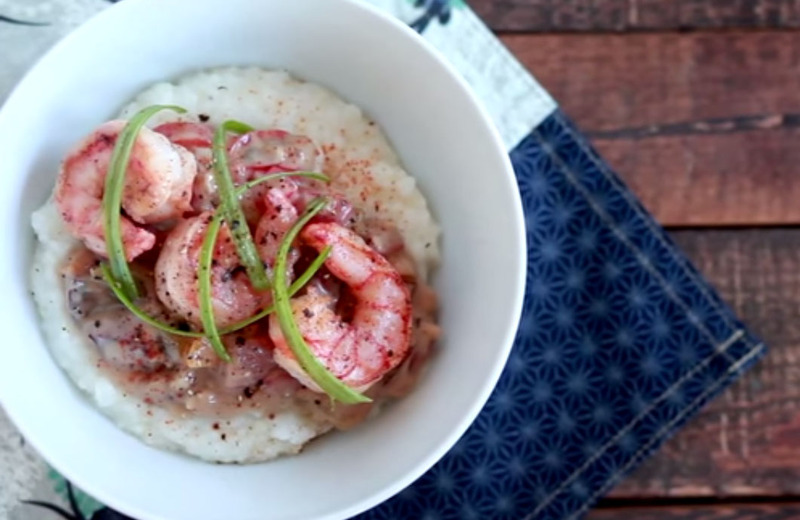 Pour grits into a bowl. 2. Pour sauce over the grits. 3. Top with the shrimp. 4. Squeeze fresh Lemon over the shrimp and garnish with sliced scallions and fresh flat leaf parsley. 3. Add fish to batter and allow it to dredge. 4. Heat oil over medium/medium-high heat. Test the heat of the oil by adding a drop of batter to pan. If it starts to bubble and crisp the oil is ready. 5. Add fish to pan slowly (do not overcrowd). 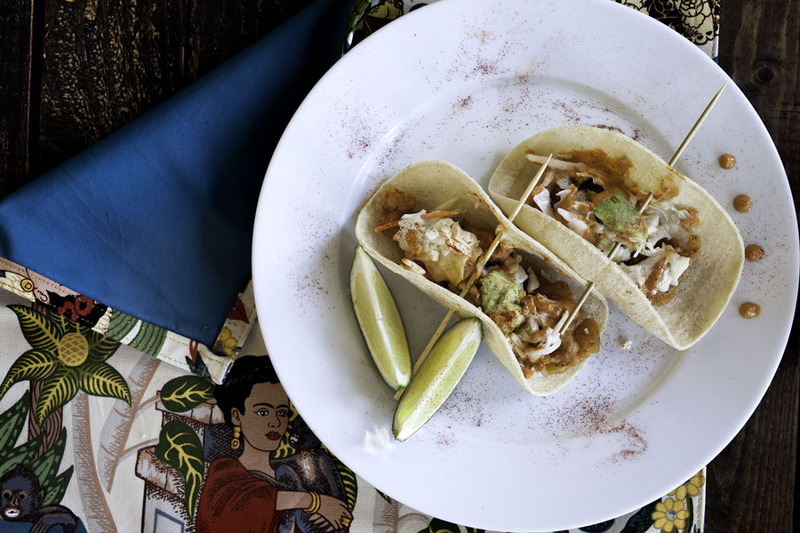 Leave a little space between each piece of fish so that it cooks evenly and pieces don’t stick together. Allow the batch to cook a total of 5-6 minutes (flipping each pieces at least once) or until golden and cooked all the way through. Remember to watch your heat, you want an even fry. 6. Remove fish from pan, placing the batch on a dry paper towel and sprinkle with a little salt. Allow it to cool 1-2 minutes. 3. Rest shells on plate under paper towels to keep warm. 1. In a blender, add a can of drained, chopped and seeded adobo chipotle peppers, along with the a half cup of sour cream. Blend on high until contents are smooth and creamy. it immediately will cause the juices to run and can risk dry chicken. 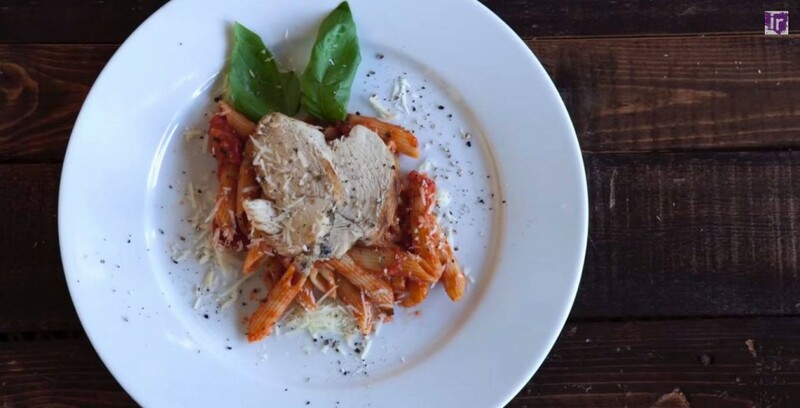 ● Scoop pasta on to plate, slice chicken, and serve! Butter + BROWN | Ep 1 is here! IT’S SHOWTIME! We’re so excited to announce and share the newest show to join the Issa Rae Productions family and network! ‘Butter + Brown’ is now streaming on the Issa Rae YouTube network! 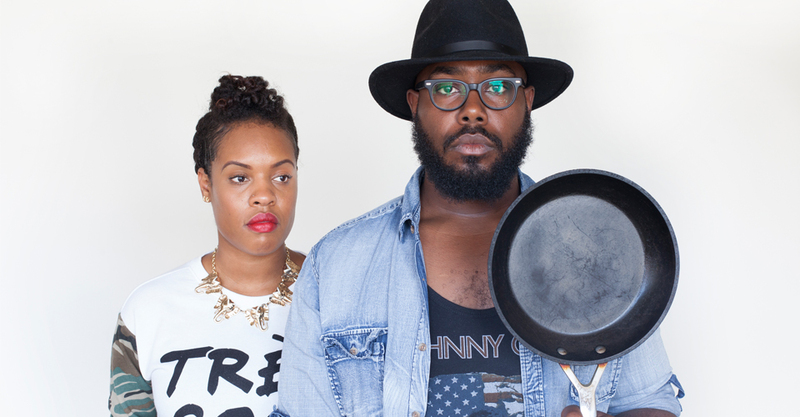 B+B is a stylish, comedic culinary web series hosted by Seth Brundle and Leslie Robinson, and directed by Theo Macabeo! In the series the hosts share their love of cooking by elevating every day ingredients to create extraordinary meals…and drinks! And have lots of laughs along the way. Let us know what you think! Stay tuned for more updates by following us on Instagram and Twitter at @butterandbrown and like us on facebook!